How Does a Propane Refrigerator Work? A propane refrigerator is a closed system refrigerator that operates on similar principles to the standard electrical refrigerator in most kitchens. Instead of an electrically powered pump, which drives the cooling agents through pipes within the fridges casing, this type of fridge uses propane and the application of heat to a modified series of pressurized chambers to achieve the same results. 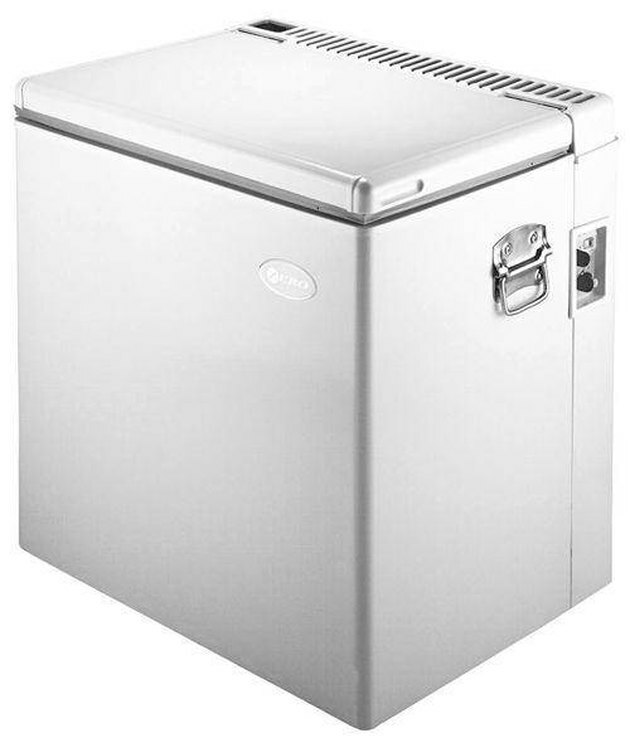 Also known as an absorption refrigerator, this is the type of fridge found in recreational vehicles. It's technically portable, and several miniaturized versions of this design have been successfully sold for use in outdoor picnics and gatherings. What Is a Propane Refrigerator? The internal workings of an absorption fridge are composed primarily of a series of pressurized pipes running throughout the fridge's casing, interspersed by five primary components. These components are the generator, separator, condenser, evaporator and absorber. They are all connected in line with one another, each performing a separate process that is vital to maintaining a low temperature within the fridge. A propane or gas burner is connected below the generator. The burner heats the generator. Contained within the generator is a combination of water and ammonia, which begins to boil. The boiling solution passes down a pipe to the separator, which by dint of the difference in water and ammonia's molecular weight, separates the two materials. Ammonia rises upward in the form of a gas while the water doesn't. As a result, the water heads to the absorber to wait for later use while the ammonia travels to the condenser. The condenser is an expansive device which allows the ammonia's heat to dissipate and the ammonia condenses back into a liquid. The ammonia is shunted to the evaporator, where it mixes with compressed hydrogen gas and evaporates once more into a freezing vapor. 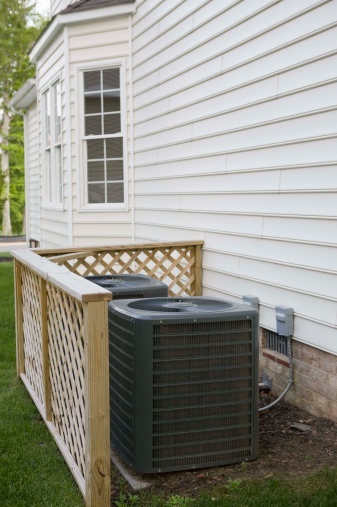 The vapor is pumped through the cooling coils within the fridge as a result of pressure initially created by the generator, which is still the driving force for this entire process. Once the vapor passes through the coils, it travels to the absorber, which recombines with the water. A chemical reaction occurs in which the ammonia combines with the water as a liquid, while the hydrogen gas travels up a pipe into the evaporator to await the repeating of this cycle. Likewise, the ammonia and water flows back down into the generator. John Albers has been a freelance writer since 2007. He's successfully published articles in the "American Psychological Association Journal" and online at Garden Guides, Title Goes Here, Mindflights Magazine and many others. He's currently expanding into creative writing and quickly gaining ground. John holds dual Bachelor of Arts degrees from the University of Central Florida in English literature and psychology. What Chemicals Are Used in Refrigerators? How Does a Refrigerator Compressor Work?